They will paint it to match the factory paint codes for the vehicle. Mine has a pretty bad crack in it under the drivers side bumper that was there when I got it from my dad. I would like to replace it sometime in the near future. Re: Does this look like a good deal? 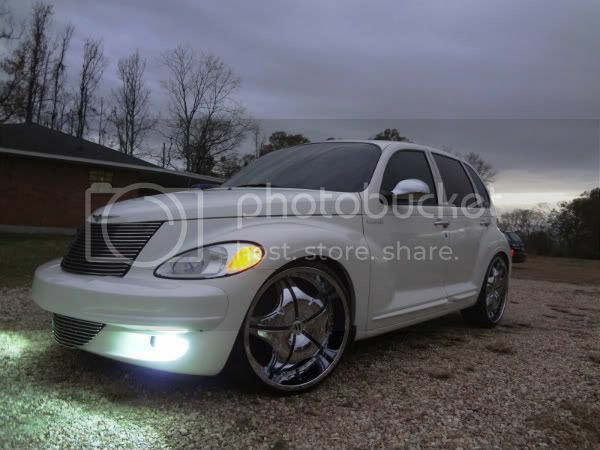 I did a search on eBay Motors for "PT Cruiser front bumper" and came up with what looks like the same seller with the same bumper and it's painted to match for about $100 cheaper. Don't jump at the first one you see. Do the same search I did and check them all out. Yeah I saw that he had others that were about $130 unpainted. Looks like he's got a lot of listings. But the link I put in my response IS painted for only $204 dollars compared to the same one you had for $299. They both look like the exact same thing from the same seller? Is this Bumper Factory or Aftermarket? I was always told from body shop people that Aftermarket bumpers dont always fit as well as OEM Parts. The fit and finish is off and You will have small gaps between the bumper and the fender. I guess not in all Cases though but it does make a little sense to me. Like they said, Dont jump on the first thing you see.